I’m obsessed with blogger income reports. But I don’t like to read them just to find out how much money they made and where it came from. I mainly like to know what money they spent and where they spent it. 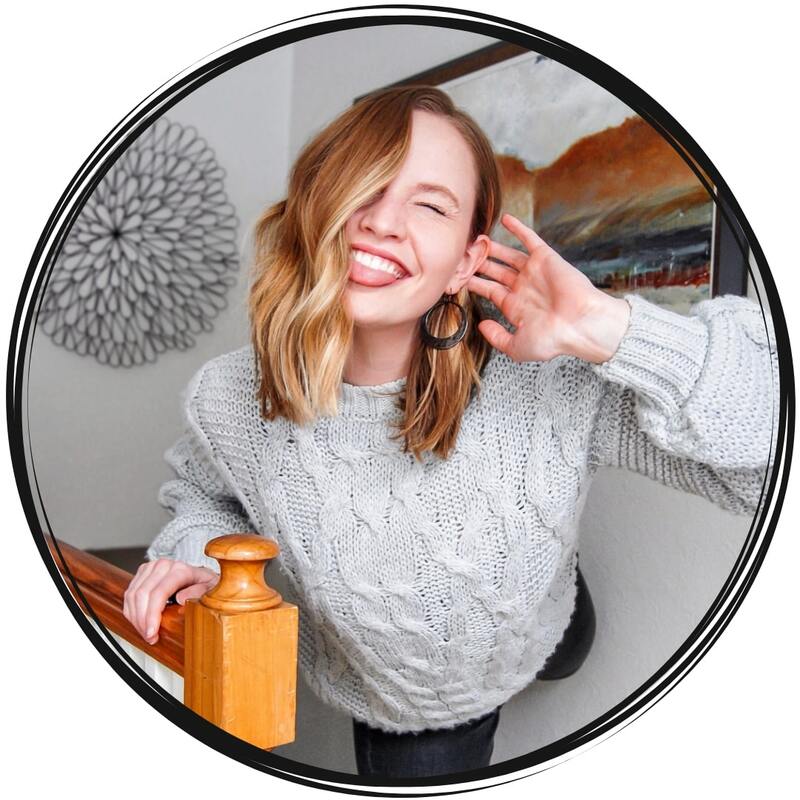 When I was first getting started with my blog, I read this income report that said they put almost 100% of their income back into their blog. And I couldn’t believe it. I mean, at the time, I was blogging as a side hustle. Making any money at all was just a little extra change in my pocket and I wanted to keep it! I didn’t really understand the whole “investing” thing. But over time, I started to realize the importance of investing. Not just because of the “you have to have money to make money” mindset. And not completely because of tax purposes (although that is part of it). It’s really because as I grow, I realize the things that I’ve needed all along. As a beginner, you don’t have the much money to throw around. You pay for your domain and your hosting and that’s really it. But as time goes on, you’ll soon realize that you need an email platform, some specialized plugins, you may need help with something you can’t figure out how to do, and you may even sign up for a course to expand your knowledge. In the beginning, you don’t have access to these things. But as you grow, you’re resources need to grow too! And that’s where investing comes into play. Now before we really get into this blog post, I want to share something. 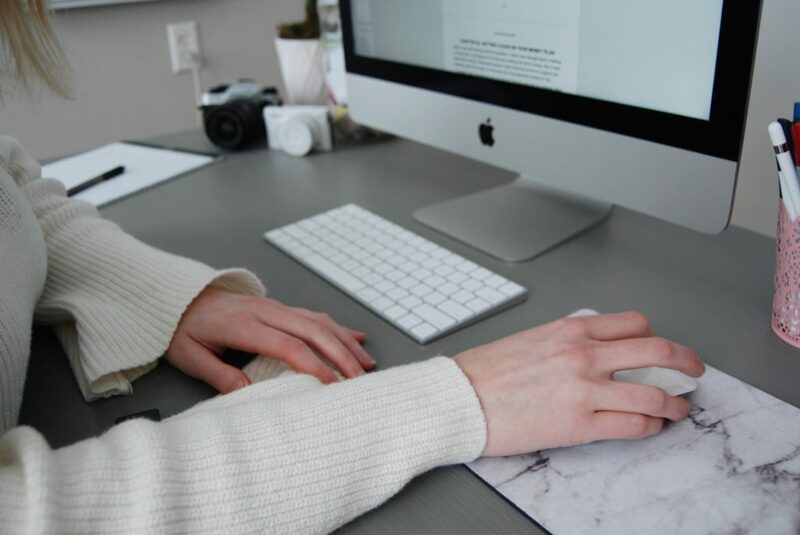 I’ve actually received a couple of messages from my readers saying that they feel like they are wasting their money on their blog in one way or another. Many have boosted posts on Facebook to see absolutely nothing in return. Some have even paid for help from other people and it’s ended up being a big bust. So if that’s you, just know that you’re not alone. 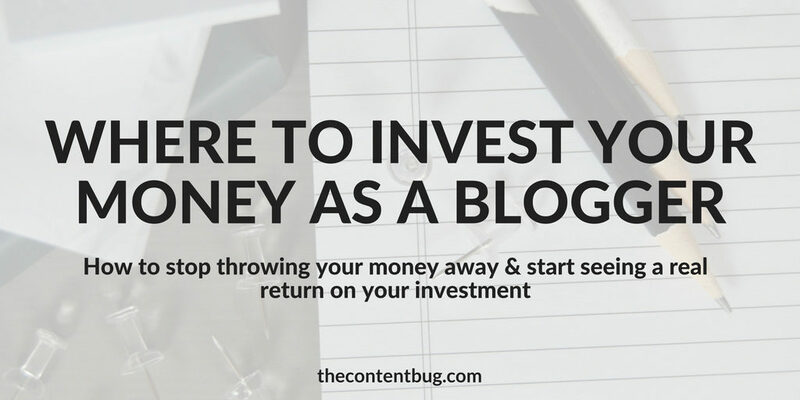 There is a right and wrong way to invest money in your blog. And we are going to cover all of those today. Now all of that is fine and dandy. But how the heck can you tell if your investment is really worth it?! I mean, you could be throwing hundreds of dollars at your blog but if you aren’t seeing anything in return, then it’s not really worth it is it? I could get super technical on you here and talk about how you need to have a game plan for every piece of money you invest. But I’m not going to do that. Instead, I’m going to tell you that with each investment, you need to have an intended goal in mind. Why are you purchasing a plugin? Why are you hiring someone? Why are you paying for a specific platform? Why are you purchasing a specific ad? Every time you spend your money, you need to think about the why. And from that why, you can determine if your money was well spent. Let’s say you purchase an Instagram ad in hopes to gain more Instagram followers. But after 5 days and $50 later, you don’t have any more Instagram followers… well then, you’re money isn’t being spent wisely! And it’s time to try something new. Now let’s get into the 5 ways to invest your money as a blogger! There are several ways that you could invest your money as a blogger. 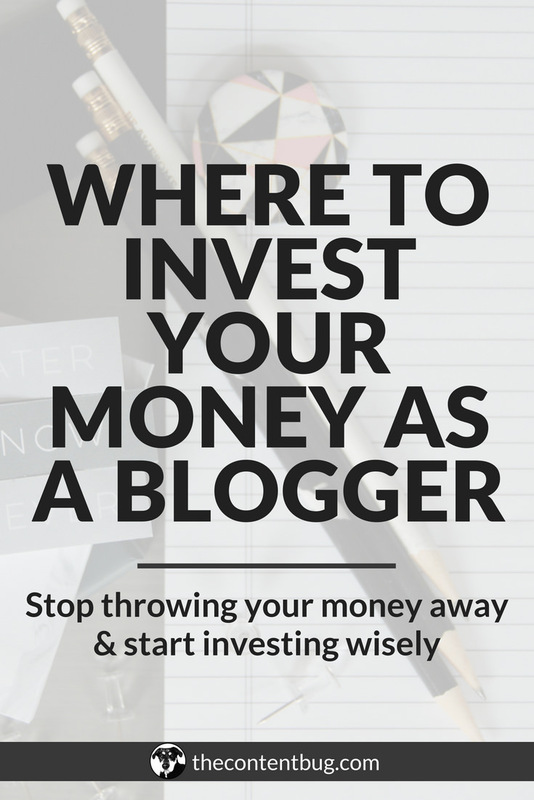 But today I want to talk about the ways that you need to invest your money as a blogger. But the word ‘need’ may be a little harsh. 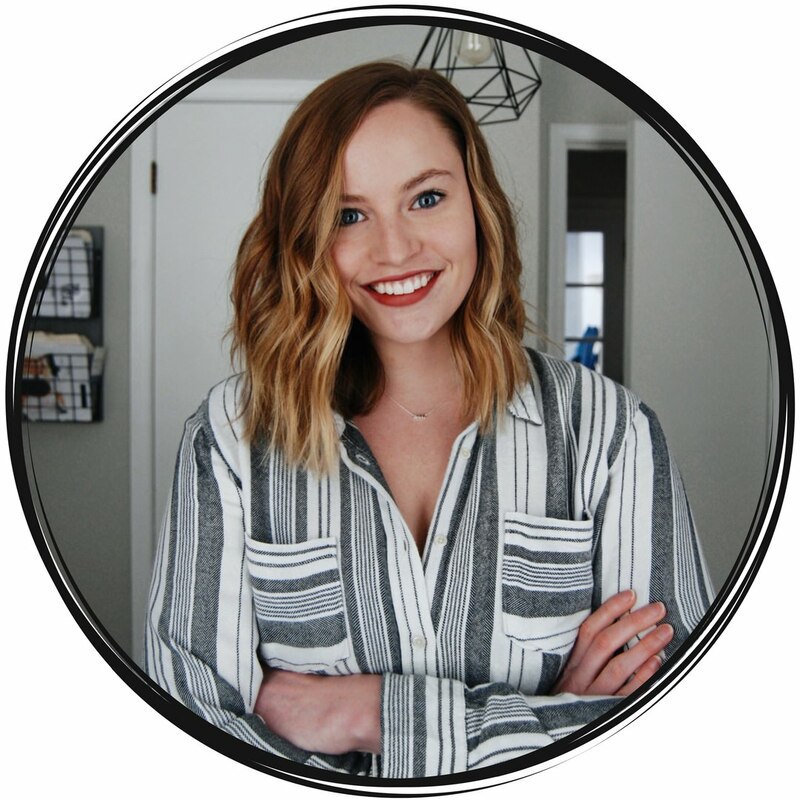 I don’t want you to walk away from this blog post feeling discouraged because you don’t have the money to invest in the things that you ‘need’ to invest in. If I could go back in time and tell myself what I should invest in instead of the stupid things that I did throw my money at, these would be those things. After reading these, you may only be able to take 1 of the 5 steps forward. And that’s freaking amazing! All bloggers want 1 thing: more page views. Sure most of us want more followers on Instagram. And of course, we want to make more money. But what it all comes down to is more pageviews. The more page views you have, the more opportunities you get with companies, ads, and more. You also get more money, more subscribers, and ultimately more followers. Everything seems to be linked back to pageviews. And all of us are chasing it. So what are you doing to help your audience grow?! There is only so much that can be done for free. SEO can help to drive organic traffic to your website, but it can’t guarantee that people stay there! Or that they sign up for your email list! So you need to think of ways that you could invest your money to help your audience grow. And I’m not talking about ads… we’ll get to that later! I’m talking about things like your email platform. Or how you create your landing pages. I’m talking about your social media and of course… your website. What are some things that would help your audience grow faster than it’s growing right now?! Not sure where to get started? Think about how you want your audience to grow. Is it your social media followers, blog traffic, or email list? Then do some research on what tool or platform you could use to grow faster. I say this a lot… but my blogging style is 100% DIY. If I don’t know how to do it right now, give me a couple of hours and I’m sure I can figure it out. And although this method has gotten me pretty far… it’s also costed me to crash my website twice. I’ve taken significantly longer on projects that really didn’t make that much of a difference in my blog biz. And I’ve dug some pretty big holes for myself that I’ve had to go back and fill in. All things that could have been avoided if I just sucked up my pride and hired someone for the things that I wasn’t an expert in. We are all great at something. And we’re all not so great in a lot of other things. So what’s the point of wasting our precious time trying to do something that we’re not good at?! If you’ve got money to invest, hire someone to do something that you can’t do. Is there anything that’s been bugging you for a long time that you can’t figure out? Is there something you would love to take off your shoulders and have an expert handle it for you? I have people hire me for SEO and Pinterest work because that’s why I do best! It may take me only 2 hours to do something when it would take someone else 2 weeks. Realize that your time is money. And wasting it is not helping to move your blogging biz forward. All 3 of these I pay for because they make my life a heck of a lot easier. Let’s be honest. No one has the time to be constantly pinning, tweeting and posting throughout the day. And if you do, then you need to be more productive with your time! A task as simple as posting on social media can be done through automation. Making your life a heck of a lot easier and saving you more time to work on the things that are actually important. And I know we already talked about your email platform, but that could also fall into this section. With ConvertKit, I can write a couple of emails in one day and then schedule them to go out over the next few weeks. Talk about making my life easier! So take the time to think about it. What are some nagging tasks within your blog right now? What do you dread to do but keep doing it because you don’t have a system in place to do it for you? Once you’ve got it figured out, head to Google to find your solution. Tailwind is my solution for Pinterest management and Pinterest growth. Teachable is my solution for hosting my online courses. And QuickBooks is my solution to accounting (because I’m a creator, not an accountant). I put this second last because I wouldn’t really call this a necessity if you are a beginner. But if you are a little bit beyond a beginner, then this is 100% a necessity! When you go on Facebook, what ads do you see? Almost all of my ads are from successful bloggers that I follow, have followed, or even just clicked on their website once. Every single time I log into Facebook (which is about twice a month), I see the same people over and over again. And from reading their blog posts and listening to their stories, Facebook ads have really worked for them and will continue to work for them in the future. So if you want to invest your money, then you might as well get started with social media ads. Just make sure that you are investing in the right platform and the right type of ads. HINT: Boosting a post on Facebook is a huge waste of your money! If you want to learn more about what ads to invest in, check out my little social media ad experiment I ran. I wanted to put this as number 1 but I was too afraid to scare you away from the very beginning. As a blogger, you’re a business owner. And one of the best ways to grow your business is to grow yourself. So you need to invest in yourself. It’s not enough to continue to throw your money into all of these products and services that you think you need at that moment. 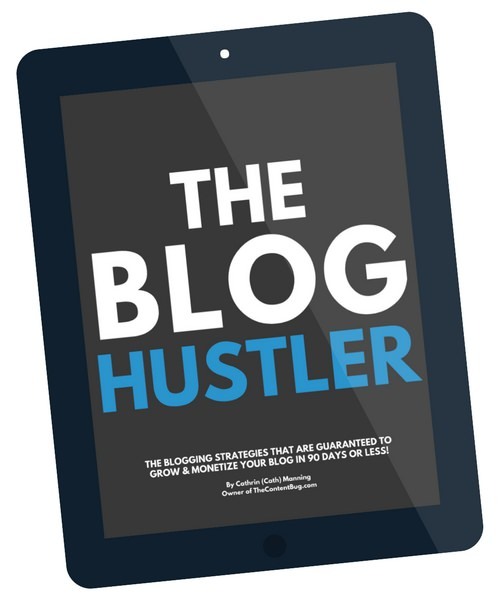 You are the only thing that will remain consistent in your blog. 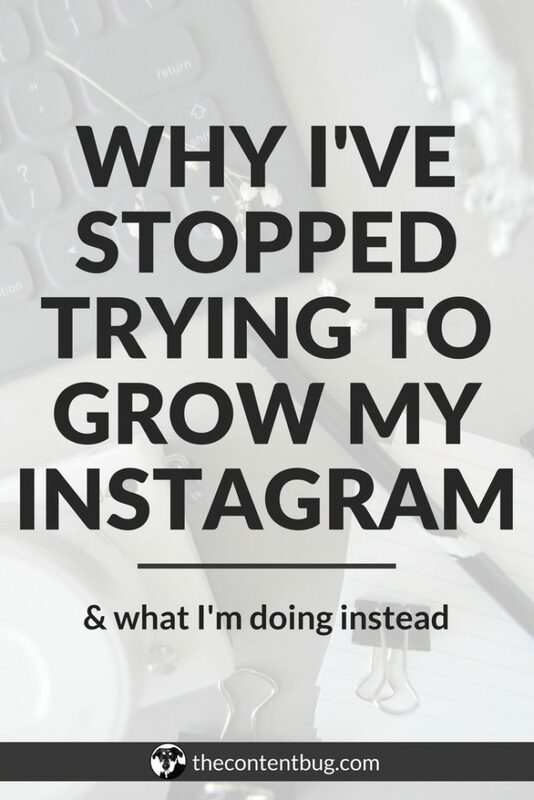 And if you aren’t growing, then you can’t expect your blog to grow either. I was only 6 months into my blog when I decided to invest in myself. I ended up paying $500 to sign up for an online course about personal and business development. And the 3 months following were the most successful months for my blog biz. Why? Because I learned so much information faster than I ever would have if I just kept on scrolling through Pinterest to find the information I needed. If you can’t afford to do anything else, spend the money on yourself. You’re 100% worth it! READY TO START INVESTING IN YOURSELF?! 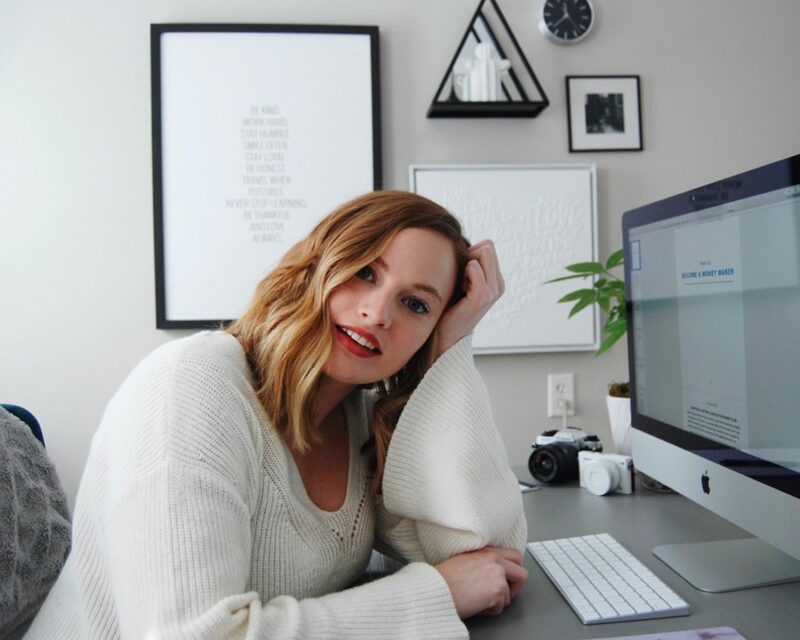 If you’ve never invested any real money into your blog besides your general website fees, then the best place to get started is by investing in yourself. And if you’re ready to do that, then I’ve got a few options for ya! You’ve seen these all around by now. It seems like just about every blogger (or at least the bloggers who blog about blogging) has courses that you can sign up for. But how do you know what one is right for you?! I’m not going to tell you that my Blog Biz Bundle is the best course for you. Because I don’t personally know you or the situation you’re in right now. But what I can tell you is that you need to look at 2 things. First, who is the person teaching the course? Do you like their content? Do you like them? Are you impressed by what they have done or what they are doing? And second, what will you get out of the course? Is there a set list of things that you can expect to learn or receive? Are there any guarantees or testimonials from other people that back up what the sales page has to say? And if all the stars align and you find the course that’s right for you, sign up immediately! If you don’t do it now, tomorrow will never come. Just like online courses, there are a ton of ebooks out there. But in my opinion, the best thing about ebooks is that they are cheaper. The bad part is that they are harder to follow through. With the monetary investment of an online course, you’re more likely to actually complete it! But with an ebook, it’s pretty easy to push it off to the side and forget about it. So you have to be careful with buying an ebook. Honestly, I think it’s better to buy a real book instead because then you have something physical to keep coming back to. I hope I didn’t scare you away, did I? Most people hate to talk about money. And sometimes, I’m that person. But the more comfortable you become with money the better! So stop saving every little penny you earn and start finding ways that you can invest it back into your blogging business. And if you do it properly, you won’t regret a thing. 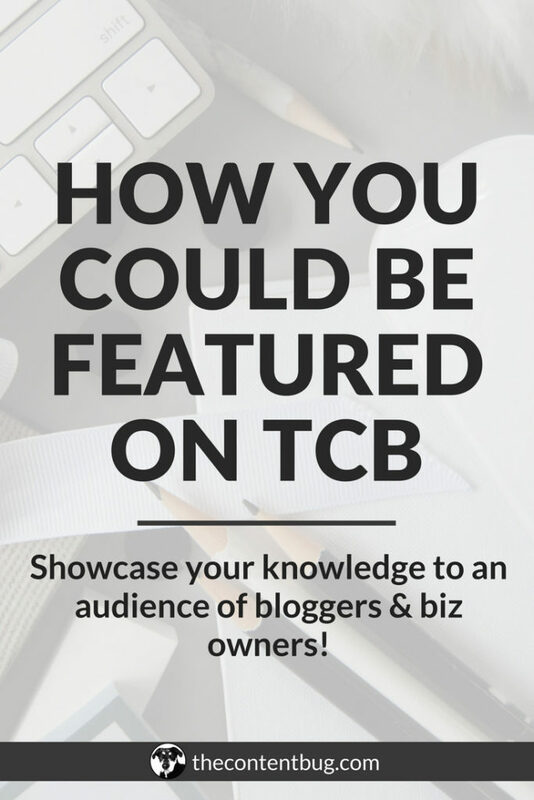 Help other members of the TCB community out below by sharing how you like to invest in your blog! 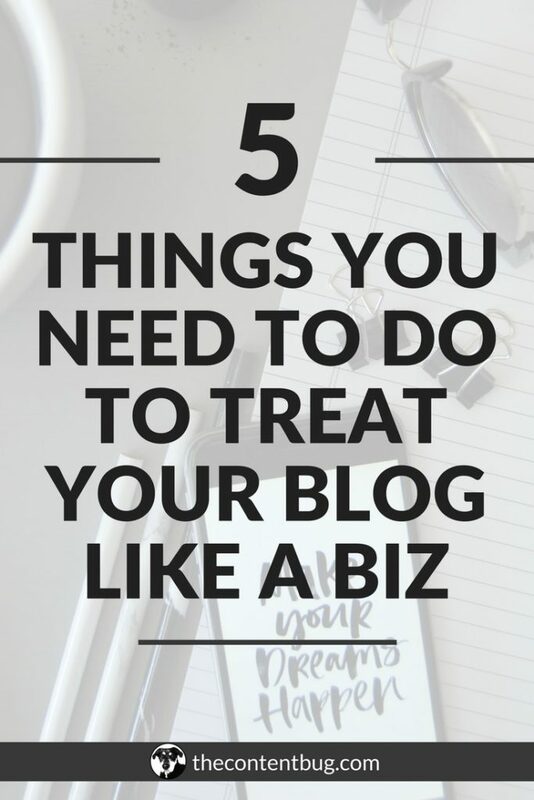 I notice that you have a Blog Biz Bundle. I signed up for Mellyssa Griffin’s Blog 2 Biz Hive. It was expensive, but it taught me a lot. I have recently paid for SSL certificates and a paid-for Theme. Both sound investments in my opinion. Those are some great investments! I know when I signed up for my first online course I thought it was expensive at first, but by the end of it, I knew my money was well spent.